Today is a very special day for my feathered friends. Chickabod, Jobin, Tubs, and Buttercup all turn three today! 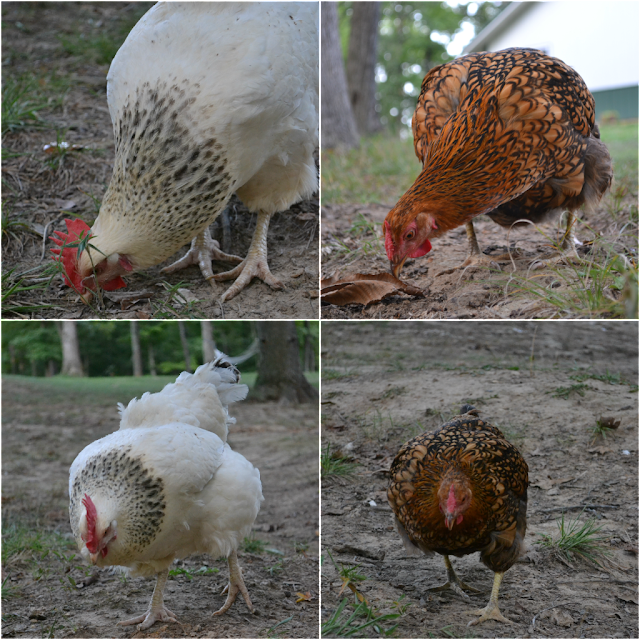 Our original flock had eight hens, but sadly only four of the eight are still with us today. Raven, Aster, Penguin, and Cleo are in my thoughts while I celebrate with the others. I can't believe how different our lives were three short years ago. We were living in the city and just embarking on our journey to self-sufficiency and finding our passion. We didn't even know we wanted to live in the country! But our special delivery changed all of that. I still remember that day. I remember pacing in my living room waiting anxiously because the package was supposed to be delivered around 2:00 in the afternoon. Finally it came, and I waited a bit to open it. I very carefully carried the box downstairs and placed it on the dryer right next to where their new home would be. I just stared at the chirping box and listened, a little scared to open it. Looking back, I think deep down I knew everything would change once I lifted the lid. And change it did. It's almost hard to put into words what these sweet little chickies have meant to me. They showed me who I really am. They brought about change in our lives that ultimately led us to where we are today. Without them I think we would have eventually discovered our passion, but it would have taken a lot longer to realize and get up the courage to go for it. I wanted to go all crazy chicken lady and bake them a cake and decorate their coop, but David reeled me back in. I still tried to make the day a little bit special with treats and free ranging time. They go crazy over dog food! No, I did not let them eat this whole bowl! Even Duchess and Sylvester came out to party. Happy birthday to my sweet girls. Here's to many more birthdays!